It’s confirmed: Skylar Dykstra (pictured at left) , who was enrolled at UCLA, has transferred to Penn State, where she will be a redshirt freshman. Though some were surprised, the move wasn’t totally out of the blue (and white?) — Penn State recruited her and was in the running before she committed to UCLA). She’s now listed in the Penn State 2014 guide, which, as rleeds noted in the comment below, is available through a google search, but as of this update, not yet posted on Penn State’s website. Dykstra started for four years at Redondo Union High School in Redondo Beach, California, where she earned First Team All-CIF honors, was named the 2012 California Gatorade POY, and was the #54 Prep Volleyball Senior Ace (Prep Volleyball is a pay site — it’s well worth the money.) She was born Skylar Jade Dykstra on Nov. 27, 1994 in Santa Monica, Calif. Her parents are Lisa and Jerry Joe Dykstra (who played basketball at Western Illinois, where he set an NCAA record for consecutive made free throws that stood for 19 years, was drafted by the Phoenix Suns and played professionally in Europe). As reported by Joe Sevenson of McHenry County Sports.com, Ali Frantti, a 6-1 Jr. OH from Richmond-Burton High School in Richmond, Illinois, has given her verbal commitment to Penn State. Frantti also considered Illinois, Michigan, Northwestern and Purdue. I thought it would be the perfect fit for me. The coaching staff is unbelievable. It was my dream as a little [girl] to go there. As a kid I watched them win four national championships. Read the complete article at McHenryCountySports.com. A lot of us are juniors and it was an unbelievable experience. This makes us hungry and anxious for next season. For the complete article by Bob Narang, Click Here. Normal, Illinois. November 9, 2012. — Richmond-Burton made too many service errors at the wrong time during Friday’s Class 3A state semifinal at Redbird Arena. But the Rockets had Ali Frantti to overcome those mistakes. Frantti’s 22 kills paced Richmond-Burton to a 19-25, 27-25, 25-22 victory against Jacksonville. Read the complete article by Bob Narang at Chicago Tribune DigitalPlus. In talking with her parents, she kind of agonized over it. She really loved basketball. I’m an advocate of playing as many sports as you can. . . . It can be done. I’m never an advocate of someone dropping a sport to play mine. But if she’s going to pick one, though, I’m glad this is the one she picked. Judging from Simone’s volleyball performance, she appears to have made the right decision. In 2010, she led her team in blocks and earned Highest Honerable Mention on PrepVolleyball.com’s “2010 Frosh 59 — the Best Varsity-Playing Freshmen in America.” By then she was attracting plenty of attention from college volleyball programs, including, according to Dave Boehler’s article, Marquette, Wisconsin, Florida, Auburn, Louisville and Purdue. In 2011, after recording 539 kills and a .352 hitting percentage for Menomonee Falls, Lee was named to the Milwaukee Journal-Sentinel’s All Area Second Team (the only sophomore to be named to either of the first two teams). Said Bruns: “She’s only a sophomore but she hits higher and harder than anyone we faced.” Lee also was selected to the Greater Metro Conference first-team and was named second-team All-State by the Wisconsin Volleyball Coaches Association and by the Wisconsin Interscholastic Athletic Association. It’s a barrier that seems to block the Menomonee Falls girls’ volleyball team every time it makes it to the WIAA state tournament. The Indians have advanced to state four out of the last eight years, but have been denied a shot at the title match. On Friday night, Burlington showed why it’s the No. 1-ranked team in Division 1 by the Wisconsin Volleyball Coaches Association (WVCA), beating Menomonee Falls in the state semifinals at the Resch Center in Green Bay in four games, 25-13, 17-25, 25-16, 25-17. Read the complete article by Greg Bates at Menomonee Falls Patch. Simone Lee has been named to the All-Wisconsin Volleyball Coaches Association first team. Read the complete listing of players named to the team at The JournalTimes.com. In the first, originally posted on October 14, 2012, Simone receives an award as the Featured Athelete of The Boston Store. The video includes interviews with J.C. Bruns, Simone’s coach at Menomonee Falls High School, with her teammates and, of course, with Simone. The second, from September 23, 2012, reports on the volleyball matchup between Menomonee Falls and Divine Savior for bragging rights in the Greater Metro Conference (Milwaukee). Of note – Simone Lee had 32 kills in the five-set match. Click Here for the video and interviews of Simone Lee as the Featured Athelete of The Boston Store. Click Here for the video of the Greater Metro Conference matchup between Menomonee Falls and Divine Savior. The 39th AAU Girls’ Junior National Volleyball Championshipstook place June 19-27, 2012. Here’s a video on the 16 Open Championship match between Fusion 16 Black and Milwaukee Sting 16. Penn State verbal commit Simone Lee, played for the Milwaukee Sting 16. Lainy Pierce, 5-8 DS/L Jr. from Eden High School in Eden New York (and Niagara Frontier VBC) has commited to the Nittany Lions for the 2014 season. Lainy has been on four New York State Championship teams, was the 2012 New York State Class C MVP, was on the 2011 All State 1st Team (the 2012 team has not been announced yet), and is a finalist for the New York State 2012 Gatorade Player of the Year. Lainy’s parents both were scholarship athletes at Penn State (her dad, Robert, was on the men’s volleyball team, and her mom ran the 800 meters for the women’s track team), and her sister, Kendall, is a freshman on the 2012 Penn State Women’s Volleyball team. Although in each of the past four seasons Eden teams have been built differently, all of them share one thing in common ­— they’ve saved their best performance for their last match. That identical trait has helped make state champions out of all four. Eden continued its remarkable run of state titles, winning its fourth straight and increasing the state record in the sport to 10 overall by finishing off Voorheesville of Section II in a three-game sweep, 25-19, 25-21, 25-17, on Sunday (Nov. 18) in Glens Falls. Read the entire article at TheSunNews.net. GLENS FALLS – Whether it’s the first time or the 10th time, winning a state championship is really sweet. All one has to do is ask the Eden girls volleyball team, which secured a state record 10th championship here Sunday at the Glens Falls Civic Center; or Ellicottville, which won its first state girls volleyball title. Eden swept Voorheesville en route to its fourth consecutive Class C title. Set scores were 25-19, 25-21, and 25-18. Read the entire article at BuffaloNews.com. Immaculate Heart Academy finished with a 32-1 record and won both the 2011 New Jersey Non-Public state title and the 2011 New Jersey Tournament of Champions title. Even though Reed missed 11 matches with a broken wrist, she totaled 233 kills, 59 blocks and 29 digs, with a .544 hitting percentage and a .637 kill percentage. In post-season play she totaled 66 kills in six matches with a .604 hitting percentage and a .688 kill percentage. Nia Reed is an incredible volleyball player. We played IHA three times this year and lost all three — she was a main contributor to their success. She stands out among her high school peers as a great player simply because she can put a ball down. In 2011, PrepVolleyball.com named Reed to its “2010 Frosh-59 – the Best Varsity-Playing Freshmen in America,” and in January 2012 PrepVolleyball.com named Reed as a National Sophomore of the Year Finalist (along with fellow Penn State recruit Heidi Thelen). As Walter Villa notes in his ESPNHS article, Nia Reed’s family has a history of athletic achievement. Vivian Brown, her maternal grandmother, was a track star who set a world record in the 4×100 metre relay (with Willye White, Wilma Rudolph,and Ernestine Pollards) in a dual meet against the Soviet Union, earned gold medals in 200-meter dash and on the 400-meter relay team at the 1963 Pan-American Games, and competed in 200-meter dash in the 1964 Olympic Games in Tokyo, Japan. Reed’s mother, JoMoree Reed, earned second-team All-Big Eight honors in basketball as a senior at Kansas State, and her father, Raymon Reed, ran track at Morehouse and at Bowling Green. Maria Nolan, IHA’s co-coach, told Walter Villa that “Nia is on target to be the best player in New Jersey history.” Given that former Penn State great (and 1999 AVCA Division I C0-National Player of the Year) Lauren Cacciamani was also from New Jersey (as are current Penn State players Ariel Scott and Aiyana Whitney), that’s saying alot. Immaculate Heart Academy was not playing a regular match on Saturday. It was playing for its sixth straight NJSIAA Non-Public title. It was playing for a spot in the Tournament of Champions. It was playing for a chance at redemption against No. 1 Bogota. But above all, Immaculate Heart was playing for Dean. At William Paterson University in Wayne, Immaculate Heart defeated Holy Angels in straight sets, 25-6, 25-13, for vice principal Toni Marie Hals, known affectionately as Dean, who lost a six-year battle with ovarian cancer just hours before the match began. Here’s a link to the Box Score. Read Jeremy Schneider’s complete article at NJ.com. The heavyweight bout between No. 1 Immaculate Heart Academy and No. 2 Bogota for the Bergen County Tournament title lived up to the billing. At the end of the day, it was the challenger knocking off the reigning champion. Bogota beat Immaculate Heart in three sets (17-25, 25-20, 25-22) to win the title and take the No. 1 spot in The Star-Ledger Top 20 right before the beginning of the state tournaments. Read Jeremy Schneider’s complete article at NJ.com. “Immaculate Heart Academy coach Maria Nolan remembers watching Nia Reed play as a freshman, amazed by her athletic ability and natural talent for volleyball. The way she seemed to just hang in the air. How well she was able to block. How she was always smiling. Reed, a middle blocker for Immaculate Heart, joked earlier this week that coaches knew that she would be good at volleyball even before she did. As only a freshman, before she knew the nuances of the game, Reed was already showing the potential to be one of the best players in the state. Now, as a junior, the ceiling is even higher than that. 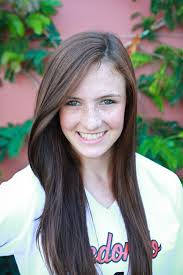 In January 2012, PrepVolleyball.com featured a photo of Heidi Thelen, of Notre Dame Academy (Park Hills, KY) and Team Z Volleyball Club, in its list of finalists for the 2011 National Sophomore of the Year. [T]his would be like a running back committing to Alabama or a power forward committing to Kentucky. 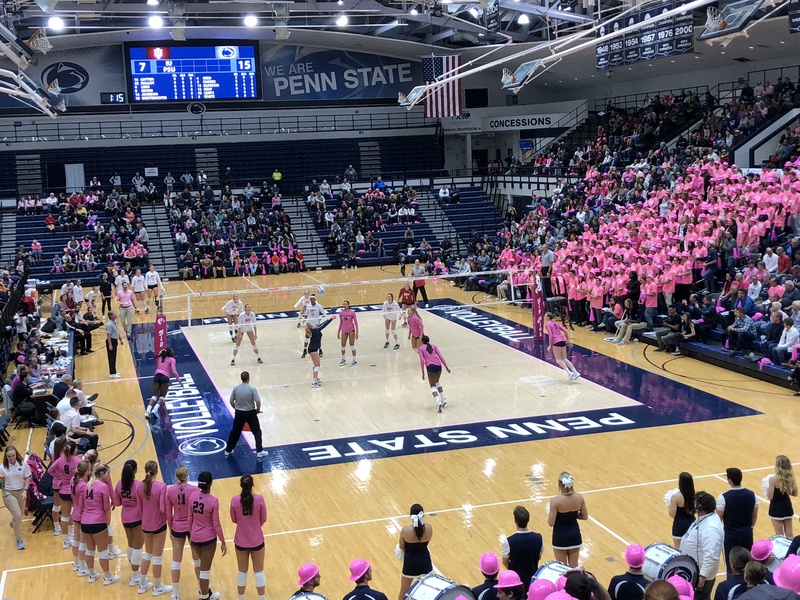 Penn State is simply the best volleyball program out there right now. When Russ Rose, PSU head coach, suddenly starts showing up at your club volleyball tournaments, I think your college search is over. For the 2011 season, Thelen totaled 354 kills, 121 blocks, and 54 aces. For her efforts, she was named by the Kentucky Volleyball Coaches Association as the Region 9 Player of the Year and as a member of the Class AAA All State First Team (along with Maya McClendon, sister of — well, you know). The Mercy Jaguars got the win over the Notre Dame Pandas when it counted. On September 11, the Jaguars took the first two sets and then dropped three straight to the Pandas. But in the quarterfinals of the KHSAA state volleyball tournament, the No. 4 ranked Jaguars exacted revenge on the No. 2 ranked Pandas in another five set thriller: 26-24, 25-22, 16-25, 23-25, 15-13. Read the complete article at Louisville Catholic Sports.com. No one on the Notre Dame Academy volleyball team was happy about the way it played against St. Henry on Sept. 20. St. Henry won 3-1 that night in the “Playing for the Purpose,” a charity match for breast cancer awareness. The Pandas went into their rematch with their Ninth Region rivals looking for revenge as they faced off in the regional championship match. Mission accomplished, as NDA won 3-0 (25-15, 25-17, 25-20) Oct. 20 at St. Henry. Read the complete article at Cincinnati.com. The Kentucky Volleyball Coaches Association has announced its choices for the 2012 All-State Girls Volleyball teams for each of three divisions. Penn State verbal commit Heidi Thelen was named to the 1st Team (AAA Division) for the second consecutive year. For the complete lists, Click Here. When you are 6′ 3″ tall, a high school girls volleyball player who, as a junior, can touch 10’ 8 ½” (highest in the history of Colorado Juniors), and are one of only four Class of 2014 players to make the U.S. Women’s Junior National Volleyball Team’s 12-person roster, people take notice. Officially . . . Haleigh Washington to Penn State. 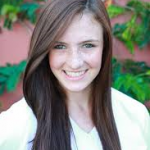 Washington is the 6-3 junior middle from Doherty HS (CO) and Colorado Juniors, she of the 10-8.5 approach. Haleigh Washington makes it official — Penn State it is! Congrats to Haleigh and the Nittany Lions! Haleigh Washington can dunk a volleyball. She has the calluses to prove it. So, yes, the 6-foot-4 junior does make it look effortless as she rises above the court time and again, swinging her arm for yet another kill. Washington finished with a match-high 14 kills in leading top-ranked Doherty to the Class 5A volleyball state championship with a 25-17, 25-14, 25-15 sweep of No. 7 Grandview. Read the complete November 10, 2012 article by Ryan Casey at DenverPost.com. Here’s video from that CHSAA 5A Championship match between Thomas B. Doherty High School and Grandview High School. Washington scored 4 of the final 6 points in the third set, as Doherty won the match 3-0 to finish the season 29-0. We’re a bit late on this one, but we thought people might be interested in the October 27th Denver Post award to Haleigh Washington. Of note: Haleigh has a 4.0 GPA, her favorite course is calculus and, oh yeah, she was a U.S. Junior National Team member. Read the complete complete post on DenverPost.com. The Doherty (Colorado Springs) volleyball team already had an ultra-talented core. The Spartans also had one of their own former standouts, Tara Hittle, a former state champion who went on to play at Hawaii, in command as coach. Then Haleigh Washington walked into the gym. Add it all up, and the Spartans are Class 5A’s lone undefeated team, the top-ranked team in the state’s big-school classification. Nothing like adding a U.S. junior national team player to the mix, eh? She’s been up there, frozen in midair, looking down on these helpless girls like a traffic reporter spotting helpless commuters in rush hour. Tara Hittle is in the 10-foot club, this soaring sorority of girls from the Colorado Juniors volleyball club. Back in the mid-2000s, Hittle’s ceiling for how high she could touch was 10 feet, 1½ inches. Now the coach at Doherty High School in Colorado Springs, she’ll watch as Haleigh Washington, who also plays for that club in the offseason, spikes the ball seemingly from the rafters. Washington’s touch ceiling has been measured at 10-8, the highest in the history of Colorado Juniors, with a list that includes players dating to the 1990s. As reported by boylancatholicbroadcasting on ihigh.com on November 21, 2011, Penn State has received a verbal commitment from Boylan Catholic’s 6-0 S/RS HS So. Bryanna Weiskircher (Rockford, Illinois) to play volleyball starting in the 2014 season. According to the report (Click here for full story), Bryanna also was considering the University of Florida and the University of Illinois. Bryanna brings terrific credentials. Emily Tropp, who covers prep sports in Northern Illinois for the Rockford Register Star (rrstar.com), calls her “the best player this area has produced since Keith’s Jordan Haverly.” (Check out Tropp’s article “Remember this name: Bryanna Weiskircher.”) And a January 27, 2011 post on the Chicago Sun Times’ “From the Back Row” blog described Bryanna as “one of the top frosh in the country” (Bryanna was named to PrepVolleyball.coms’s 2010 Frosh 59). Following the 2011 season in which she posted 433 kills and 329 assists for Boylan Catholic, Bryanna earned Honorable Mention All-State in 2011 from the Champaign-Urbana News Gazette and, according to the Chicago Sun-Times, was named to PrepVolleyball.com’s Soph 79. And here’s a link to a nice photo of Bryanna facing a triple block. Algonquin. November 1, 2012. It was the furthest Boylan volleyball had ever gone. So for that, the season was a success despite the outcome on Thursday. “Every year we want to go a step further than the season before,” Boylan coach Amanda Carlson said. “And every year, they haven’t disappointed me. Read the complete article by Emily Tropp at the Rockford Register Star.com. Algonquin. October 30, 2012. Boylan used aggressive serving and solid blocking to outlast DeKalb in the Class 4A Algonquin Jacobs Sectional semifinal, winning 25-23, 25-22 to advance to the championship. . . . Offensively, Boylan was led by 10 kills from Bryanna Weiskircher and five apiece from Alexis Varga and Margaret Horihan. Read the complete article by Emily Tropp at the Rockford Registar Star.com. The 39th AAU Girls’ Junior National Volleyball Championships took place June 19-27, 2012. Here’s a video on the 16 Open Championship match between Fusion 16 Black and Milwaukee Sting 16. Among the stars for Fusion 16 Black was Penn State verbal commit Bryanna Weiskircher.